Alfred Newton FRS HFRSE (11 June 1829 – 7 June 1907) was an English zoologist and ornithologist. Newton was Professor of Comparative Anatomy at Cambridge University from 1866 to 1907. Among his numerous publications were a four-volume Dictionary of Birds (1893–6), entries on ornithology in the Encyclopædia Britannica (9th edition) while also an editor of the journal Ibis from 1865 to 1870. In 1900 he was awarded the Royal Medal of the Royal Society and the Gold Medal of the Linnaean Society. He founded the British Ornithologists Union. Alfred Newton was born near Geneva in Switzerland, the fifth son of William Newton of Elveden Hall in Suffolk, MP for Ipswich; his mother Elizabeth (1789–1843) was the daughter of Richard Slater Milnes, MP for York. The family wealth was founded on sugar plantations in the Caribbean, where Alfred's grandfather Samuel Newton had a plantation in St Kitts, and a property in St Croix. William Newton returned to England in 1813, purchasing the property of Elveden, near Thetford from the Earl of Albermarle. Elveden (pronounced and sometimes spelt 'Eldon') was built in 1770 by Admiral Augustus Keppel. After the Newtons left, Elveden Hall and its estate were bought by Prince Duleep Singh in 1863, and later by the Guinness family (Earl of Iveagh). In 1828 the Newton family made a trip to Italy, and on the way back Alfred was born on 11 June 1829 at Les Délices, a chateau near Geneva. He suffered an accident when about five or six, which left him somewhat lame in one leg. He went to school in 1844, attending Mr. Walker's school at Stetchworth near Newmarket. He was kept birds in cages and looked after other animals from a young age. As a youth Newton shot game birds – black or red grouse, common pheasant, partridge. Birds became an abiding interest. Those included the great bustard (Otis tarda), Montagu's harrier (Circus pygargus), ravens, buzzards (Buteo sp. ), redpolls, wrynecks (Jynx), which are small woodpeckers that specialise in feeding on ants. "The vast warrens of the 'Breck', the woods and water-meadows of the valley of the Little Ouse, and the neighbouring Fenland made an ideal training-ground for a naturalist". This enthusiasm Newton shared with his younger brother Edward: the two carried out bird observation when they were together and corresponded when they were apart. In 1846 Newton went to a tutor in Biggleswade for a few months, and in 1848 he entered Magdalene College, Cambridge. He graduated B.A. in 1853. He took a particular interest in zoology and corresponded with many ornithologists of the time. A meeting with John Wolley at Cambridge in 1851 made them lifelong friends. He spent the rest of his life at Magdalene, and never married. A fall later in life, when he was on a trip to Heligoland, further crippled him, and he then walked with the aid of two sticks, instead of one, as formerly. "From a three-legged, he has become a four-legged man" commented a friend. Newton died on 7 June 1907 of heart failure at the Old Lodge in Magdalene. He is buried in the Parish of the Ascension Burial Ground in Cambridge. In 1853 he was awarded the Drury Travelling Fellowship of Magdalene College, but he took it up only in 1855, when the grant became available. Between 1855 and 1864 he visited many parts of the world, including Lapland, Iceland, Spitsbergen, the West Indies and North America. In 1858 he made a trip to Iceland with John Wolley with the hope of rediscovering the great auk. Shortly after their return Wolley died, and at the suggestion of P.L. Sclater Newton wrote up Wolley's notes and catalogued his collection in Ootheca Wolleyana, which was published in four parts from 1864 to 1907. In 1866 he became the first Professor of Zoology and Comparative Anatomy at Cambridge, a position which he retained until his death. He was one of the few British Professors of Zoology of his time in whose appointment Huxley did not have a hand. Both Darwin and Huxley declined to support his application, on the grounds that his interests and publications were too narrowly focussed on ornithology. The procedure was for candidates to canvass for votes (presumably amongst the MAs of the University). The result of the poll was Newton 110; Dr Drosier 82. Newton was one of the first zoologists to accept and champion the views of Charles Darwin, and his early lecture courses as professor were on evolution and zoogeography. Newton was a leader in founding the British Ornithologists' Union in 1858, and its quarterly journal, the Ibis in 1859. He wrote several books including Zoology (1872) and A Dictionary of Birds (1893–1896). 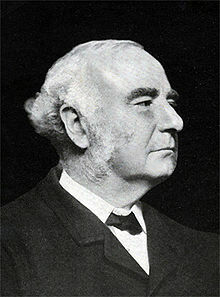 He contributed memoirs to scientific societies, and edited the Ibis (1865–1870), the Zoological Record (1870–1872), and Yarrell's British Birds (1871–1882). His services to ornithology and zoogeography were recognized by the Royal Society in 1900, when it awarded him the Royal Medal. Newton spent some time studying the vanishing birds of the Mascarene Islands, from where his brother Sir Edward Newton sent him specimens. These included the dodo on Mauritius and the solitaire on Rodrigues, both already extinct. In 1872 he described what is now known as Newton's parakeet which lived on Rodrigues before going extinct in 1875. Newton's interest in extinct bird species such as the dodo, great auk and great bustard led him to work towards the protection of birds. He influenced the legislation of the Sea Birds Preservation Act 1869. Newton was a prominent supporter and member of the Society for the Protection of Birds (later, 1903, the RSPB) from its inception in 1889, and carried on a long campaign to influence women against the fashion of adorning their hats with the flight feathers of raptors and other fine birds. His letters to The Times and addresses to the British Association for the Advancement of Science meetings on this subject were regularly reprinted as pamphlets by the Society. Newton determined that extinction cause by human actions was different from extinction resulting from natural processes including evolution. He made efforts to clarify that his motivations for conservation were scientific and that these were distinct from sentiments influenced by earlier movements against animal cruelty and vivisection. One of his most successful works was a series of investigations into the Desirability of establishing a 'Close-time' for the preservation of indigenous animals. These were instigated and published by the British Association between 1872 and 1903, leading towards the present-day legislation concerning the closed seasons for game fish, shell-fish, birds and mammals (Game laws). The basic concept, as is now well known, is to protect animals during their breeding season so as to prevent the stock from being brought close to extinction. The Cambridge University Museum of Zoology contains a significant amount of material from Newton, including specimens collected in Madagascar, Polynesia, South America and the Caribbean, eggs, books and correspondence. Not many days after my return home there reached me the part of the Journal of the Linnean Society which bears on its cover the date 20th August 1858, and contains the papers by Mr Darwin and Mr Wallace, which were communicated to that Society at its special meeting of the first of July preceding... I sat up late that night to read it; and never shall I forget the impression it made upon me. Herein was contained a perfectly simple solution of all the difficulties which had been troubling me for months past... I am free to confess that in my joy I did not then perceive that... dozens of other difficulties lay in the path... but I was convinced a vera causa [true cause] had been found... and I never doubted for one moment, then nor since, that we had one of the grandest discoveries of the age—a discovery all the more grand because it was so simple. Only four days after the publication of the famous 1858 paper, and one day after he read it, Newton started to apply Darwin's and Wallace's idea to various problems in ornithology. Newton did not see evolutionary theory as being in conflict with his religion. He maintained a regular attendance at church and held deeply conservative views. Evolutionary theory was, for him, applicable outside of humans. In the Nat. Hist. Section we had another hot Darwinian debate... After [lengthy preliminaries] Huxley was called upon by Henslow to state his views at greater length, and this brought up the Bp. of Oxford... Referring to what Huxley had said two days before, about after all its not signifying to him whether he was descended from a Gorilla or not, the Bp. chafed him and asked whether he had a preference for the descent being on the father's side or the mother's side? This gave Huxley the opportunity of saying that he would sooner claim kindred with an Ape than with a man like the Bp. who made so ill an use of his wonderful speaking powers to try and burke, by a display of authority, a free discussion on what was, or was not, a matter of truth, and reminded him that on questions of physical science 'authority' had always been bowled out by investigation, as witness astronomy and geology. He then caught hold of the Bp's assertions and showed how contrary they were to facts, and how he knew nothing about what he had been discoursing on. A lot of people afterwards spoke... The feeling of the audience was very much against the Bp. A letter, dated 25 July 1860, provides an account of the debate. There was a grand kick-up again between Owen and Huxley, the former struggling against facts with a devotion worthy of a better cause. The latter now takes it easy, and laughs over it all, but Flower and Rolleston are too savage. No doubt it is very irritating when Owen will not take the slightest notice of all they have done and proved, and Owen does it all in such a happy manner, that he almost carries conviction from those who know how utterly wrong as to facts he is. Newton A. (1864–1907), Ootheca Wolleyana: 1. An illustrated catalogue of the collection of birds' eggs formed by the late John Wolley 2. Eggs of the native birds of Britain and list of British birds, past and present. The first part was published in 1864; it was not until 1902 that Newton was able to resume the work and the next parts appeared in 1902, 1905 and 1907. The work is illustrated with colour lithographic plates and with black & white illustrations. Artists include Newton, Balcomb, Grönvold, M. Hanhart, J. Jury, and Joseph Wolf. The 11th edition of the Encyclopædia Britannica comments: "[This] was an amplification of the numerous articles on birds which he contributed to the 9th edition of the Encyclopædia Britannica". Newton, A. (1877). "The dodo". Encyclopædia Britannica 9th Edition. Newton A. (assisted by Hans Gadow, with contributions from Richard Lydekker, Charles S. Roy and Robert Shufeldt) (1893–1896), Dictionary of Birds. Reprinted in one volume (1088 pages) Black, London, 1896. Newton A. et al. (1896–1903), Bird migration in Great Britain and Ireland. Reports of the Committee... British Association. ^ Wollaston 1921, p. 1. ^ Wollaston 1921, p. 2. ^ Wollaston 1921, p. 6. ^ Wollaston 1921, p. 4. ^ Wollaston 1921, p. 5. ^ "Newton, Alfred (NWTN848A)". A Cambridge Alumni Database. University of Cambridge. ^ Wollaston 1921, pp. 168–169. ^ a b c d One or more of the preceding sentences incorporates text from a publication now in the public domain: Chisholm, Hugh, ed. (1911). "Newton, Alfred" . Encyclopædia Britannica. 19 (11th ed.). Cambridge University Press. p. 582. ^ Birkhead & Gallivan 2012. ^ Wollaston 1921, p. 133. ^ Wollaston 1921, p. 134. ^ Wollaston 1921, p. 104. ^ Newton, Tristram & Sclater 1866. ^ Newton & Newton 1868. ^ a b Cowles, Henry M. (2013). "A Victorian extinction: Alfred Newton and the evolution of animal protection". British Journal for the History of Science. 46 (4): 695–714. doi:10.1017/S0007087412000027. ^ Wollaston 1921, p. 324. ^ "Cambridge University Museum of Zoology; Main museum material". ^ Wollaston 1921, pp. 118–120. ^ Browne 2002, pp. 114–115, 120–124. ^ Letter to Edward Newton dated October 8, 1862 quoted in Wollaston 1921, p. 123. Birkhead, Tim R.; Gallivan, Peter T. (2012). "Alfred Newton's contribution to ornithology: a conservative quest for facts rather than grand theories". Ibis. 154: 887–905. doi:10.1111/j.1474-919X.2012.01274.x. Newton, A. (1872). "On an undescribed bird from the Island of Rodriguez". Ibis (January 1872): 31–43. doi:10.1111/j.1474-919X.1872.tb05858.x. Newton, A. (1861). "Abstract of Mr J. Wolley's researches in Iceland respecting the Gare-Fowl or Great Auk (Alca impennis, Linn.)". Ibis. 3 (12): 374–399. doi:10.1111/j.1474-919x.1861.tb08857.x. Newton, A.; Tristram, H.B. ; Sclater, P.L. (1866). "Report on the extinct birds of the Mascarene Islands". Report of the 36th Meeting of the British Association for the Advancement of Science held at Nottingham in 1866: 401–402. Wollaston, A.F.R. (1921). Life of Alfred Newton: late Professor of Comparative Anatomy, Cambridge University 1866-1907, with a Preface by Sir Archibald Geikie. New York: Dutton. This page was last edited on 18 January 2019, at 14:32 (UTC).